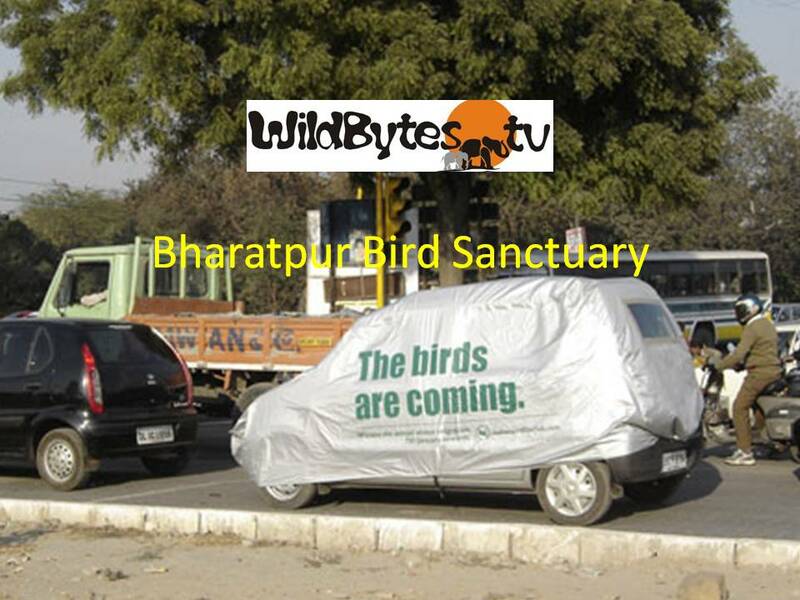 Bharatpur Bird Sanctuary is now known as Keoladeo National Park. The 29 square km park’s woods and man-made wetlands protect over 350 species of migratory and resident birds, including herons, cormorants and eagles. It is also a World Heritage Site. During the month of October, when this video was made, the resident birds are breeding. November onwards, the migratory birds start arriving. Flyway, it is a staging / wintering ground for a large number of migratory waterfowls. The rare Siberian cranes used to winter in this park but this central population is now extinct. The last Siberian Crane was seen here in 2002. The sanctuary was created 250 years ago and is named after a Keoladeo (Shiva) temple within its boundaries. The park was a hunting ground for the Maharajas of Bharatpur, a tradition dating back to 1850, and duck shoots were organised yearly in honour of the British viceroys. Mountain pheasants are seen in the Himalayan region. In India they occur in Himachal Pradesh, Uttarakhand, Sikkim and J&amp;K. Neighboring countries like Pakistan and Afghanistan also have some. Pheasants are the Winged guardians of Mountainscapes. Pheasants are the species of birds to which our national bird, the peacock, belongs. Pheasants are an indicator species for the health of our mountains. About a third of all the pheasants in the world are found in India. While many pheasants have been reduced to birds for captive breeding (like the jungle fowl) or as game birds in the US and Europe, several parts of Asia still have the wild population. Seeing a tragopan in the wild can be compared only to seeing a tiger in the wild for the first time. The round black-bordered white spots or ocelli on the tragopan's feathers make it look like the King of Birds studded with diamonds all over. No wonder the local names for the tragopan are "Jewar" and "Sonalu". The tragopan is the state bird of Himachal Pradesh. The beautiful monal pheasant, 'the bird of nine colours', is the state bird for nd Uttarakhand and Nepal. Monal feathers used to adorn the Kinnaur Caps of wealthy persons. Now their use is banned officially. The birds cannot be viewed as game birds as most of the Western community does but these birds are the winged guardians of our mountainscapes. The pheasants are more than just beautiful birds, for they also have scientific value for environmentalists and ecologists. Years of research have shown that Himalayan pheasants are mostly found in moist, temperate forests where there is a thriving community of oak trees. Oaks are important in ecological terms because they grow only in forests that are mature with plenty of healthy undergrowth in the form of vibrant grasses and bushes and a wide array of specialized tree species. After establishing the close link between oak trees and pheasants, ecologists have reached the conclusion that a fall in pheasant population mirrors an adverse change in the mature forest habitat. The hills and valleys of the Himalayan ranges are the only areas left in the world where these exotic birds species still exist in their natural surroundings. Western Tragopan, Himalayan Monal, Cheer, Koklass and Khaleej - the mountainscapes exist because they exist. 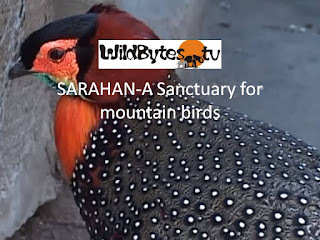 Anyone living in the mountains will vouch for the Himalayan Monal whose calls warn the ground dwelling animals like musk deer, tahr and bear of approaching hunters /poachers. It is high time we removed the tag of game birds from pheasants. Morning arrival at Jayanagar Jetty. On arrival board on Boat to Khola-Jungle Resort. After lunch cruise to Kalibhanja Diha, Dhamara Port & Dhamarai Temple. Dinner & Overnight at Forest Lodge / Sand Pebbles Jungle Resort. Early morning board on boat to Ekakula with pack breakfast and lunch. Overnight at Forest Lodge / Sand Pebbles Jungle Resort. After breakfast visit to different creeks to spot crocodiles, Bird Sanctuary & trekking to Hunting tower of ancient king. After lunch visit of Crocodile Breeding Centre & Museum. Dinner & overnight at Forest Lodge / Sand Pebbles Jungle Resort. After breakfast drop to Jayanagar jetty for onward journeys. Visited Morni Hills, DistrictPanchkula, Haryana this sunday. Already famous for its varied flora and fauna,Morni is infact a tiny village located on the foothill-zone of the shivaliks. Ametalled road connects morni with panchkula for a distance of about 20kms., onmajor district road 118 and is 3000 ft. above the mean sea level. morni hillshave two water bodies, small agricultural tracts and presence of river ghaggar.The reserved forest limit starts just as we take a turn towards morni from nadasahib, a gurudwara. a check post has been put up by the forest department, butfound it not operating on sunday. vehicular traffic, leading to a lot of noisekeeps the wild life at bay. i was amused to notice atlest 10 vehicles passingevery 10 minutes, with no limit to the speed and constant honking. as weentered the forest area we could find few monkeys and langoors on the road sideprobably just because of the feeding by passers by. so many of them fluttering from one tree toanother managing what little they could eat, scared of the noise. we stoodlifeless for around 10 to 15 min. So that they come to the berry treeon the road side where we were waiting for them to be clicked. after they werepretty sure we were not a threat to them they started coming one after theother giving us a chance to click them. We moved ahead searching for somemore birds. There was a group of some off road bikers enjoying driving on theturns of the hills. We found a red startsitting quietly on the branch of a tree at village mandana, the largest villagein morni hills. We managed to click. Little ahead we found the red whiskered bulbul also known as red vented bulbul, the singerbird of India. It probably looks like a musician with a turban on the top ofthe head-the crest. It has a long tailand feeds on fruits, nectar and insects. Morni has varied flora likebabul, kikar, bamboo, khair, amaltas, jamun trees are commonly seen on loweraltitude. As we move higher the type of vegetation changes to pines and chirtrees and temperature also falls suddenly. From mandana, the view of the plains is breathtaking. The ghaggar river separates the tipra rangefrom morni hills. From the T-point we can turn back to chandimandir and alsotowards pinjore through thapli which also boasts of a famous nature camp. I have visited jayakwadi bird sanctuary situated near Aurangabad- 60km distance; one of the best places near by. I have sighted around 120 species of birds there in one trip including greater flamingo, eurasian spoonbill, long tailed godwit, whisked tern,grey heron, small blue kingfisher and many more! On Jan 26th we ( Mr. Rishiraj Deval , Mr. Amit Gupta & My Self ) started our journey from Udaipur to Littile Rann Of Kutch via Thol Sanctuary in Ahemdabad. Thank you all for your time to read this check list.